Metal railings are glinting and there are surprises in the bathtub: we are at the height of spider season. They are now at their largest and they are looking for a mate. The large brown house spider in your bathroom is probably a male who is pausing for a drink of water on his way to court a female. She sits in her funnel web in the corner of the room. He approaches cautiously. As he enters her web he beats out a rhythm on the silk using his pedipalps, a pair of leg-like appendages at the front of his head. He needs to get this rhythm right, or she will mistake him for prey. 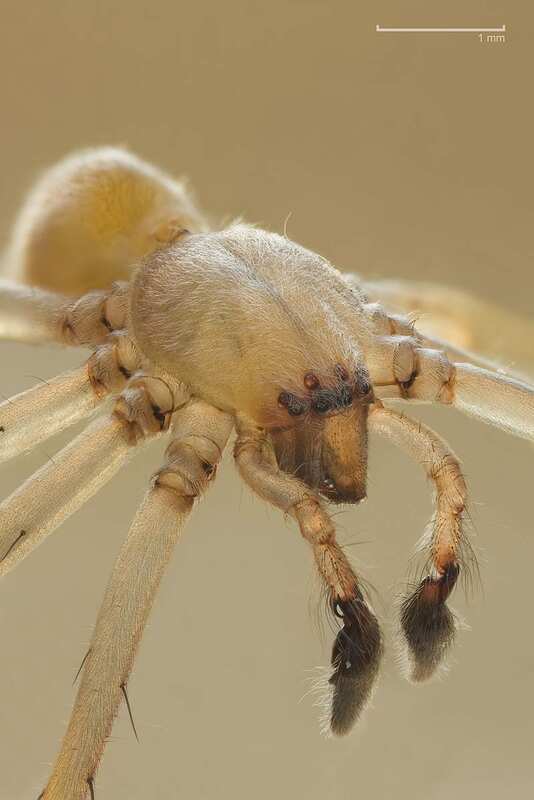 If it goes well, they will mate and he will continue to drum out his rhythm on her body and stroke her with his legs – stroking is common in the mating of many spider species. They are animals particularly attuned to vibrations. For over a decade I have been working with spiders and their silk to make drawings, sculptures and videos. It is possible to collect spider silk, either from webs or by pulling a thread directly from a spider’s silk-producing spinnerets. 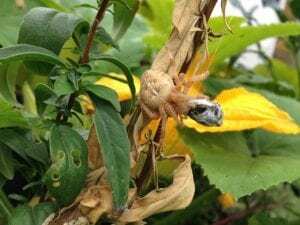 For centuries, people have used these two methods to transform spider silk into fabrics, musical instruments and even into the crosshairs of gun sights. Often described as being ‘stronger than steel’ spider silk has other remarkable properties. It is tough, elastic and biocompatible, which means that it can be used inside the human body without being rejected. This means that spider silk could be used in the future to repair damaged tendons – a gathering of human cells and spider silk that offers a transformation far more intimate than that of Spiderman. 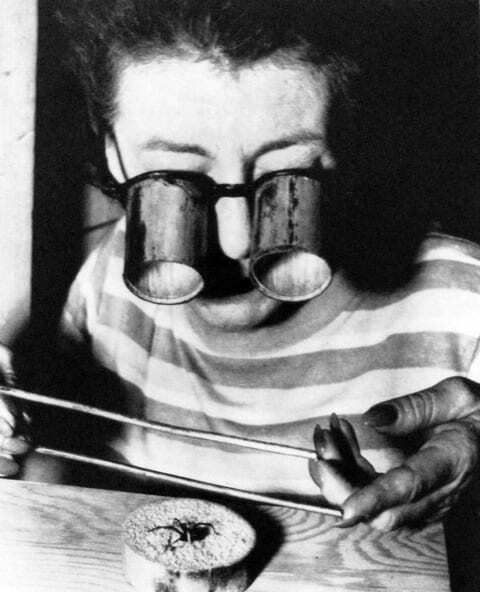 I am drawn to spiders because, like me, they make things. But their way of making hints at something inaccessible – a different way of being in the world. 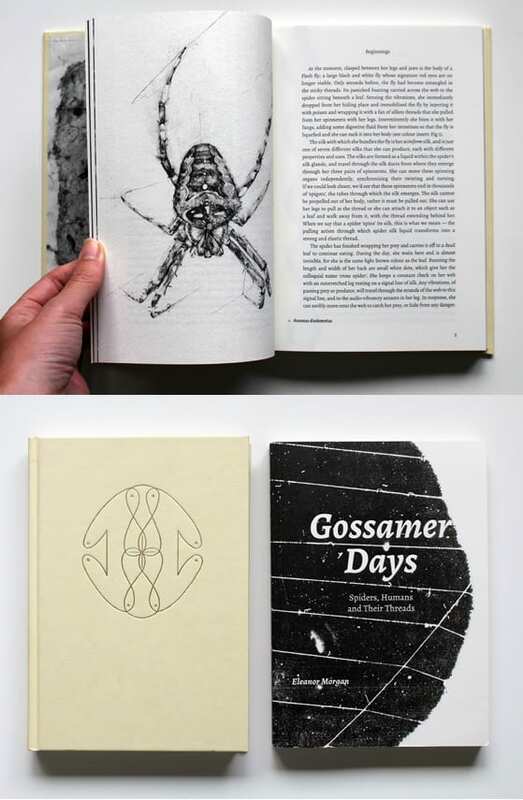 The history of how humans have collected and used spider silk is the focus of my book Gossamer Days: Spiders, Humans and their Threads. A recurring problem for these spider silk hunters is that spiders do not respond well to modern farming methods – in close quarters they tend to eat each other and a vast quantity of silk is needed to create even a small ribbon of cloth. Yet despite these issues, there’s something about spider silk that attracts people – its glinting quality and the way light moves across the strands. For me, it’s also about the spiders themselves. At this time of year, in gardens and parks, you can see my favourite spider, Araneus diadematus, the European Garden spider, sitting at the centre of her great orb web. While the smaller males are wondering around snifs, she is fing out the femalegrowing in size and gathering her strength to lay her eggs before winter comes. If you are lucky you will see her building her web (night time or early morning is best). A rarer treat is seeing the courtship of the male as he plucks at her web, ‘serenading’ the female. Watch and see whether he gets the tune right. Eleanor Morgan is currently in competition for the Jerwood Drawing Prize.